Aerobic Exercise: About 20 minutes of brisk walking, stair climbing, or jogging 3-5 times a week is great for improving heart health as well as strengthening the large weightbearing bones and joints of your body. Quit Smoking: A smoker’s risk of heart disease can be dramatically lowered after just 1 year of giving up smoking. The added benefit is that the risk of bone fractures and osteoporosis is also reduced. Optimize Calcium Intake: It is a well-known fact that calcium is necessary for bone health, but did you know it is also essential for normal beating of the heart? It is best to get your calcium from natural food sources rather than supplements. Too much calcium supplementation has been linked to increased risk for heart disease. Strength Training: According to recent research studies, those who perform both strength training and aerobics have better cardiovascular health when compared to those who perform any one activity alone. 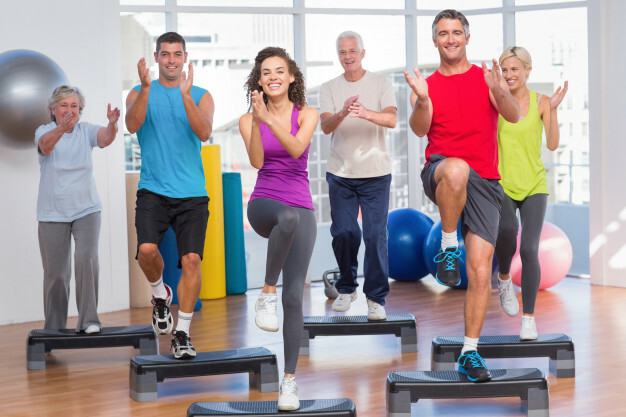 Any type of weightbearing exercise improves bone density and strength. Lose Weight: Shedding the excess pounds reduces the workload on your heart as well as your joints. Move More: Our bodies were created for movement and not to sit in one place for 8-10 hours a day. If you have a desk job, make sure you get up and move around every hour or so to help your heart with blood circulation and prevent orthopedic problems such as back and neck pain. Avoid Red Meat: In addition to red meat being a big risk factor for heart disease, it can also cause calcium to leach out of your bones making them brittle. Limit Alcohol Use: The American Heart Association recommends no more than 1 drink a day for women and no more than 2 drinks a day for men to improve heart health. Excess alcohol intake destroys bone-formation cells (osteoblasts) interferes with calcium and vitamin D absorption. Cut Down on Salt: The more salt you eat, the more calcium is excreted through your kidneys and the greater the chances of developing high blood pressure and heart disease. Get Enough Sleep: Aim for at least 7 hours of sleep every day. High quality sleep has been associated with healthier arteries. What’s more, it’s during sleep that your body has a chance to repair the microdamage to the musculoskeletal system caused by routine activities. As you can see heart health and bone health are closely interlinked. By incorporating these above-mentioned tips into your lifestyle, you can achieve both!